Rise free from care before the dawn, and seek adventures. Let the noon find thee by other lakes, and the night overtake thee everywhere at home, "Baker Farm," Walden. 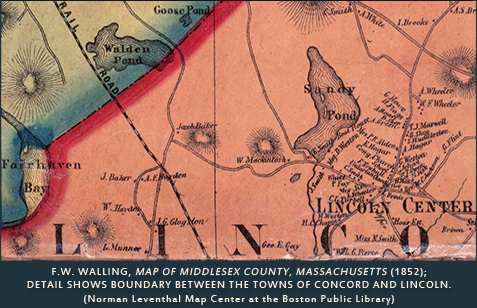 Read the Lincoln Reconnaissance Report, part of the Freedom’s Way Landscape inventory of 22 Freedom’s Way communities in Massachusetts. 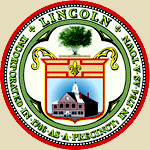 Explore conservation, preservation, and environmental stewardship in Lincoln. Take a trip with the Concord, Assabet, & Sudbury Wild & Scenic River Stewardship Council. 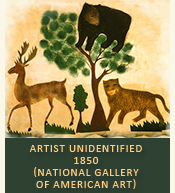 Visit the deCordova Museum and Sculpture Park in Lincoln, site of Flint's Pond. 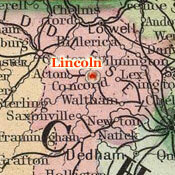 Visit the Walden Woods Project in Lincoln. "Stearns Wheeler built a 'shanty' on Flint's Pond for the purpose of economy, for purchasing Greek books and going abroad to study. Whether Mr. Thoreau assisted him to build this shanty I cannot say, but I think he may have; also that he spent six weeks with him there. As Mr. Thoreau was not too original and inventive to follow the example of others, if good to him, it is very probable this undertaking of Stearns Wheeler, whom he regarded (as I think I have heard him say) a heroic character, suggested his own experiment on Walden...It seems to me highly probable that Mr. Wheeler's experiment suggested Mr. Thoreau's, as he was a man he almost worshiped." Channing's view is supported by Thoreau's account of his search for a place to live in the woods, which he began by seeking permission to build his cabin at Flint's Pond. When this request was denied, he turned to Walden, but held on to a grudge against the farmer who, in Thoreau's view, failed to appreciate the truly productive pursuits that would have been carried out on his property. Wheeler, who fell ill and died at the age of 37 while studying philosophy in Germany, would almost certainly have joined the Transcendentalists' circle had he returned to Massachusetts. He not only earned Thoreau's admiration, which was not often bestowed, but also stood out as a protege of Ralph Waldo Emerson, who called him his "Good Grecian" in light of Wheeler's early success teaching Greek at Harvard. In Walden, Thoreau described Flint's Pond as an "inland sea" due to its relatively large size, and even though he preferred to bathe in what he perceived as the purer water of Walden, he often walked the mile or so from his cabin to fish in Flint's more fertile coves. 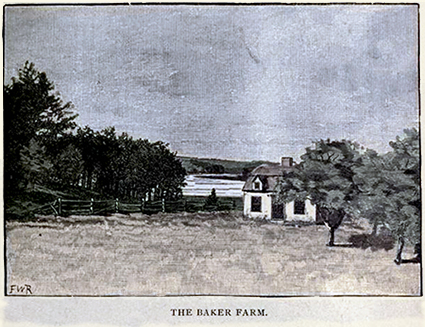 One of his fishing expeditions became the focus of "Baker Farm," a chapter in Walden devoted to describing his visit with John Field, an Irish laborer who had taken up residence with his wife and children in a tumbledown hut near Flint's Pond (which may have been Wheeler's shanty since Thoreau recalled sitting inside many times before). Having barged in on the Fields in an effort to escape a storm, Thoreau spent the afternoon trying to persuade the poor man to abandon his struggle to earn a living as a bog digger. 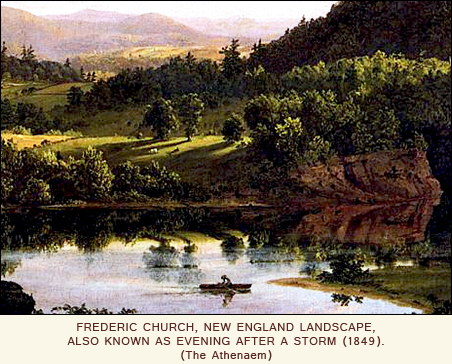 By the time the storm passed, Thoreau had concluded that Field and his wife, hemmed into their hovel with their "broad-faced boy" and "starveling brat," hadn't the wherewithal to follow his guidance on how to lead a better life, one that would require them to abstain from beef and tea, but free them to "go a-huckleberrying in the summer for their amusement." Field's apparent inability to entertain the prospect of a simpler and more leisurely approach to living led Thoreau to rehearse the anti-Irish sentiments that pervaded Yankee culture in the mid-nineteenth century. "Poor John Field!," he reflected, "born to be poor, with his inherited Irish poverty...not to rise in this world, he nor his posterity, till their wading, webbed, bog-trotting feet get talaria to their heels." "through the cleansed air, from I know not what quarter, my Good Genius seemed to say,—Go fish and hunt far and wide day by day,—farther and wider,—and rest thee by many brooks and hearthsides without misgiving." 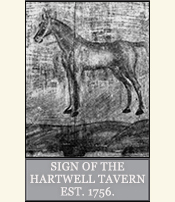 Stop by the Hartwell Tavern in Minute Man National Park. Explore World-Wide Waldens: Putting Thoreau's words into action. 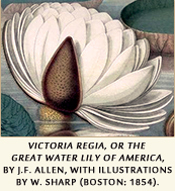 Check up on the health of New England's lakes and ponds at the EPA. 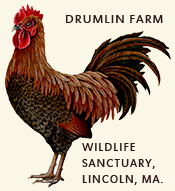 Visit Drumlin Farm in Lincoln. Find out where to fish in Massachusetts at MassWildlife. 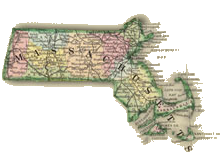 Learn more about the anti-immigrant Know-Nothings rise to power in Massachusetts. 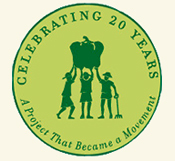 Check out the Food Project in Lincoln.